The Companyia Musical is the name of one group of musicians and singers from different countries and background. This is conducted by Josep Cabré and its specialization is the Renaissance and Baroque music from Catalonia and Spain. Los programas que ofrecen son fruto de la investigación musicològica de Bernat Cabré y son publicadas por FICTA. TEMPORE PASSIONIS «Music for the Passion at the Catalan Baroque»,This proposal wants to approach the 17th century Holy Week liturgy, through a selection of unpublished works -most of them sound for the first time after centuries of silence- from a range of composers, some practically unknown, covering this period artistic. 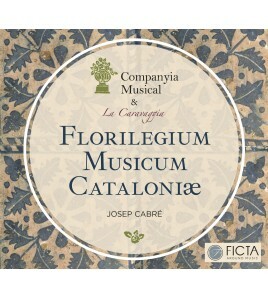 FLORILEGIUM MUSICUM CATALONIÆ «The XVII century at the musical chapels of Catalonia», It is a varied and extensive sample of Baroque music in Catalonia, focused on the work of chapel masters who worked in the main musical centers of his time. With this music it is possible to know the most important composers of the last Baroque in Catalonia like Francesc Valls. SUSANNE UN JOUR «Music at the Seu d'Urgell between the Renaissance and the Baroque or A classic of the European polyphony in the heart of the Pyrenees», This program is staged for the Mass "Susanne un jour" - Pere Riquet (1598-1619) that was written from the work by Orlando de Lassus (1532-1594) and completed with other unpublished works of the Renaissance and Baroque fron the Seu Urgell.